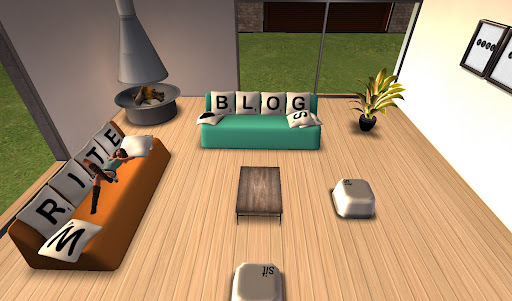 One of the things you get when you buy a Second Life premium membership is a free home. I happen to think this is a dandy idea, even though a lot of people make fun of the actual homes. I think that criticism is not really justified because those Linden homes are great for new residents and even for us oldies. 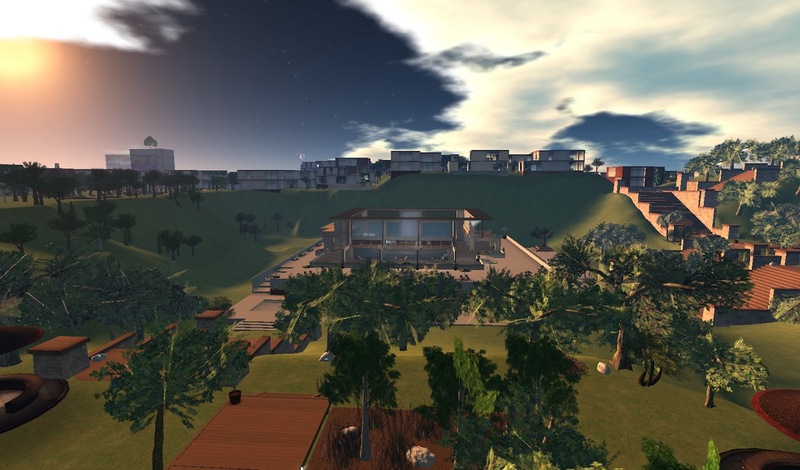 For example, here’s a shot of the Second Life Bloggers club house. and that’s me hanging out there on the sofa. 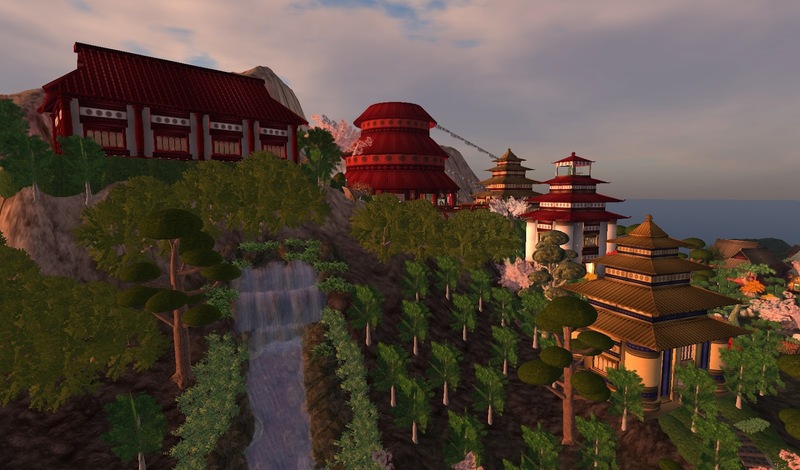 Thanks to Tymmerie Thorne for using her Linden home. buy an annual membership for $72. your monthly cost is a little bit more than $1. Here’s something else. I noticed that the Linden homes have Infohubs for each of the three themed areas. The Infohub for the modern region seemed very corporate campus to me, but I found that the Infohub for the Asian themed region to be especially interesting. Here’s a couple pics. This is the Meadowbrook Infohub @ Ravenbrook. and the build is very well done, high quality. This is the Shareta Osumai Infohub @ Kita. It is very elaborate and the LL builders did a good job. This is the Elderglen Infohub @ Eldervale. in living in a fatasy setting enjoy this. I think these Linden home regions are one more example of things the Lab is doing well. I’ve read so many negative articles lately, I just wanted to point this out. I will followup soon with an post about the Shareta Osumai Infohub @ Kita. It is a very elaborate area and deserves a full pictorial and some commentary. 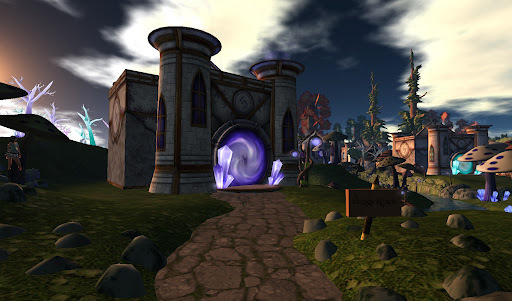 This entry was posted in Features and tagged Homes & Gardens, Linden Lab, Second Life. Bookmark the permalink. Great post! Love your pic lounging in the club house! I really like what you've done with it. I hope to host a blogger work group soon. I'm working on an agenda. coming soon. Yeah Mera, this is the mothership for me. And i'm discovering that WordPress is easier too, but I don't want to restart building the readership because it's taken so long to get it going here (and I'm lazy too).